Just as tiny kittens and puppies grow into bigger cats and dogs, wild animal babies grow into adults too. These full-grown animals may no longer be cute and cuddly. Their wild instincts may kick in. They can become very large, even dangerous. What happens to these exotic pets when owners realize they can no longer care for them but they can’t be returned to the wild? And what about big predators that get hurt or sick? 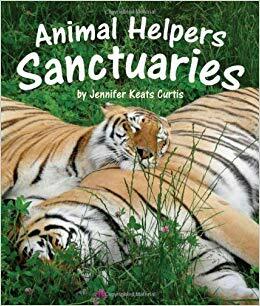 This photographic journal takes readers behind the scenes of 6 organizations that have opened their doors and their hearts to desperate animals in need. 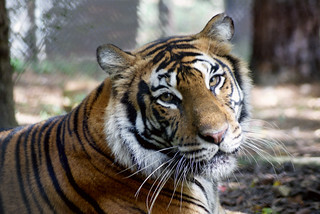 Featured among them is Carolina Tiger Rescue and our amazing animals, including Nitro and Emerson tigers, Chewie binturong, and more.